My gingham obsession has officially made its way into my workwear wardrobe. I have collected the similar J. Crew/J. Crew Factory version of this skirt in 3 colors/prints over the last few years. So, when I saw this gingham one in the latest Kate Spade surprise flash sale, I needed to get it. I like that the bow tie makes a little different from the ones I already have, and it has pockets. And that instantly makes just about any skirt or dress even better! Absolutely love this outfit on you, Cara! 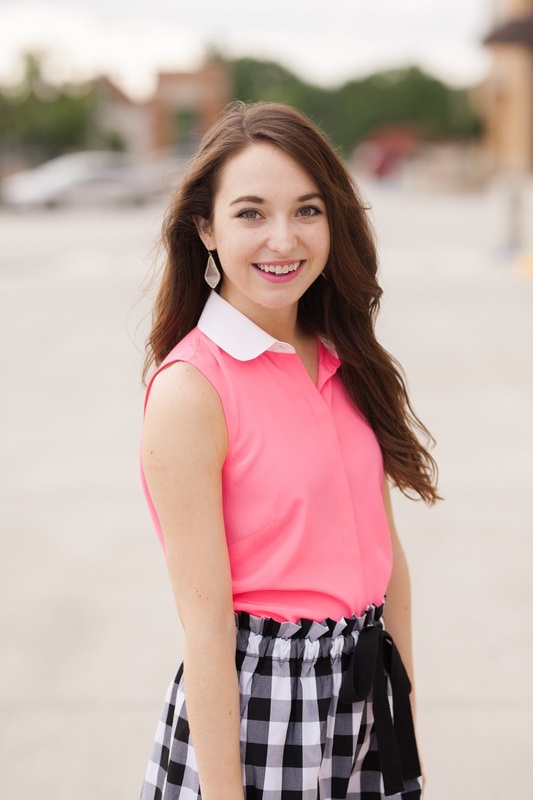 I love your gingham skirt and your pink top is too fun!